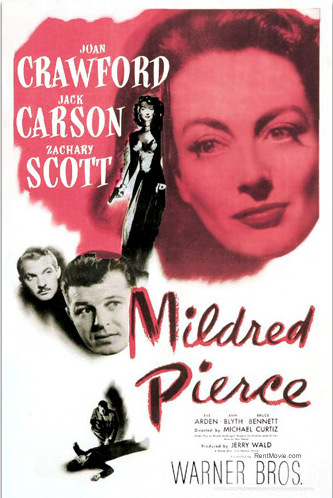 Mildred Pierce: Remake Heaven or Hell? I'm taking on a stint over at the fabulous site, BlogHer as a contributing editor to the pop culture and entertainment section. Today, my first piece went up about the Kate Winslet remake of Mildred Pierce. Seriously? Is there anyone who likes a remake? Look, I'll admit that ever since I was a child with braids and an anxious expression, I have been extremely resistant to change, but I could count on one hand the remakes that I've actually liked: The Office, Battlestar Galactica, and...I'm out. However, I'm notoriously picky and a bit brain-dead from new mothering, so feel free to jump in the comments and tell me which remakes you've actually enjoyed. The thing is, this new Mildred Pierce mini-series -- starring the appropriately-eyebrowed Kate Winslet -- isn't just a remake, it's a remake of an old classic. An old classic starring Joan Crawford. Remember the last time an old classic starring Joan Crawford got a makeover? Yeah, it was called The Women and it sported the likes of Meg Ryan, Annette Bening, and Candice Bergen. Those "saucy," gimlet-soaked trailers and commercials were enough to convince me that I wouldn't taint my all-time favorite movie by paying to see this remake. That was money well-saved, since my little sister told me the movie slapped some serious suckage on the screen. Read the rest of the piece over at BlogHer.